Harm you or touch your defences, vanity, insecurity. Saudades!essa banda é uma das minhas favoritas,adoro denais! try +5 for an easier version without an e chord! 1. In the second line of the song, the second D should be an A. 2. Maybe include the fade out at the end, which is just E, D, A, D repeated. 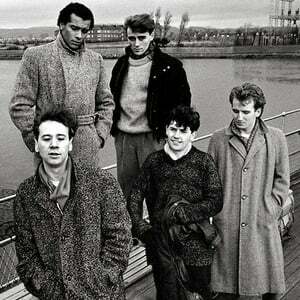 Simple Minds is a Scottish pop and rock band that achieved its greatest worldwide popularity from the mid-80s to the early 90s, still playing to a massive fan-following today. The group, from the South Side of Glasgow, has produced a set of critically acclaimed albums in the early 80s. It also has secured a string of successful hit singles, the best known being their #1 worldwide hit single "Don't You (Forget About Me)", from the soundtrack of the John Hughes movie The Breakfast Club and their worldwide hit single "Alive and Kicking".